Today is Thanksgiving. 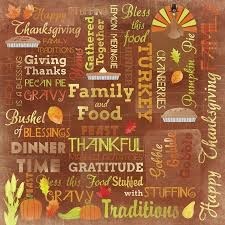 For some people it means a days of stuffing your face full of food or prepping for Black Friday (which has turned into Black Thanksgiving Day but I digress), but for me it means what I think it should mean: a day with family and friends. You see, I’ve always thought “what if you take away the food, football, shopping, etc…what do you have?” It’s the people around you! As a Celiac, so much emphasis is put on food. Don’t get me wrong, I love stuffing as much (or more) than the next person but if I couldn’t have it but was surrounded by people I love…Thanksgiving is perfect. I’m so incredibly thankful for so many people in my life. My parents are amazing people who jump in to whatever adventure I start on. My brother and sister in law support me from afar and my niece and nephew are amazing little wide eyed children. I have a fantastic group of friends who make me laugh and have hearts of gold and a bestie who is always there for me. What more could I need? This Thanksgiving, count your blessings. I bet the list is longer than you think. Somethings you just don’t expect to see on Facebook and one of those such things happened today. i was taking a brain break at work and as I scrolled down my Facebook feed I found out that one of my friends had passed away overnight. Apparently a heart attack. It took me by such surprise. Here was a gentleman who was just 10 years older than me and…just like that…gone. Tony was someone who wasn’t easy to forget. I will never forget the first time I met him. I had just moved to Grand Junction and had someone who was interested in hiring me in their insurance office as I had insurance experience. I walked into the office and was introduced to Tony. Tony was African American but what set him apart in this little Colorado town was the fact that he was TALL, like almost seven feet tall. I would later find out that he played professional basketball in Europe. I didn’t get the job and it was a long time until we crossed paths again. In fact, it was almost six years later and I accepted a position with an insurance agency in Fruita, a town just outside of Grand Junction. Tony had become an insurance adjuster and was stationed out of the office I worked in. Had it not been for him, and his sidekick Jarred, I would have been even more miserable than I was. Those two made me laugh and I always told Tony that it took him a month to remember my name since he always would yell “hey, front desk lady!” if he needed to talk to me. The first week I was there, he offered to get me breakfast but, with his North Carolina drawl, it lost a few letters and became “brefas”. Oil became “ol”, kids became “keeds” and so on. He couldn’t carry a tun but sang at the top of his lungs and the song “Marry Me” never sounded so bad. Friday afternoons sometimes he would go get himself beer for a work happy hour and bring back a shot or two so I could have a cocktail under my boss’ nose (sorry, Troy!). After I parted ways with the insurance company, we still got together for a cocktail now and then, to catch up and just have fun. I actually saw him in September and had I known that it would be the last time I would have made an effort to make time to see him. We never know if tomorrow won’t come for someone we care about. Tony was an amazing person with the brightest smile in the room. Tony, you will be miss dearly. God bless you. 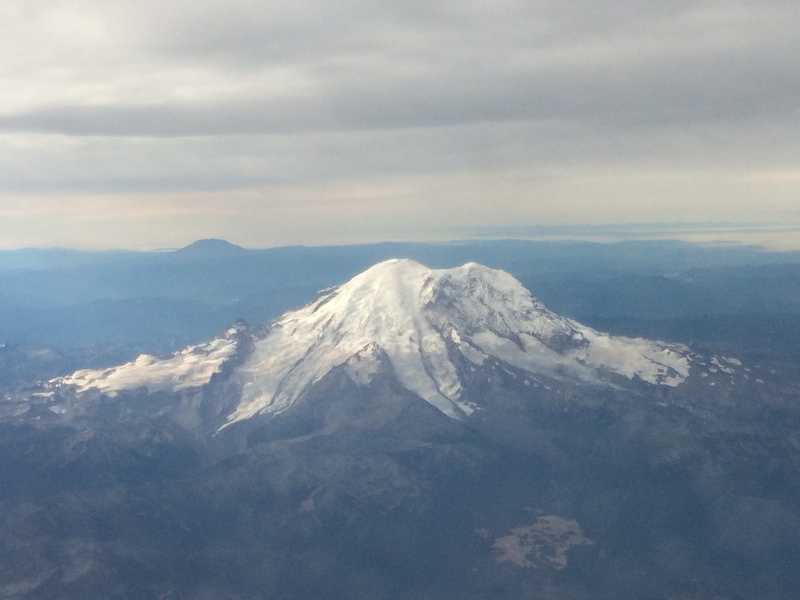 Yes, the great Northwest. If Chicago is for foodies, then the state of Washington is for those of you who like your food and adult beverages. My brother is a graphic designer and owns his own business, Fresh Bread Design. He works almost exclusively with distilleries and breweries in the area north of Seattle as well as some in Seattle. So I had the inside track on what was amazing to sip on while in Washington. And it was a fun time! I love flying into Sea-Tac on a clear day, the views are amazing! I arrived at a good time in the morning and my dad and brother, Scott, picked me up just in time for lunch. Since we had plans on going to Ghostfish Brewing Company when they opened at 3pm, we had time to kill. 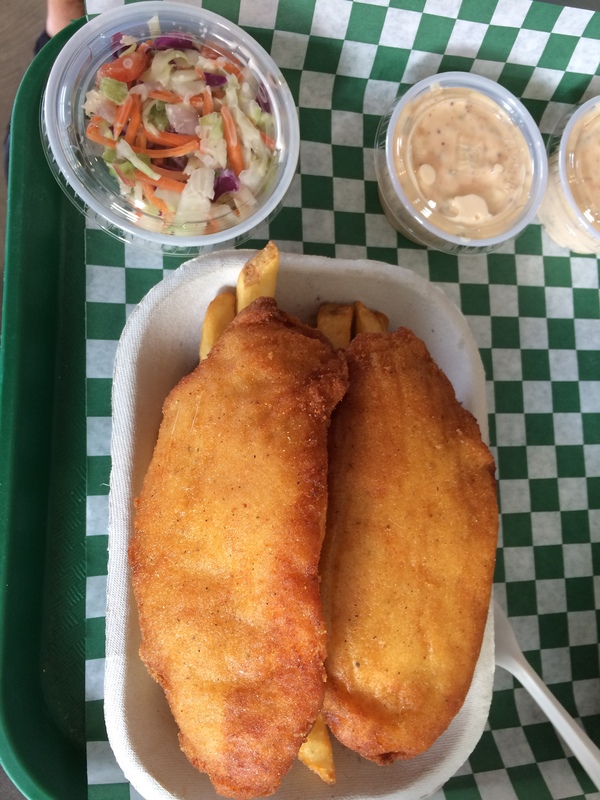 Scott found a little fish and chips place that had a dedicated fryer for gluten free foods. I loved the fact that he did research ahead of time, read reviews and planned this for us. It meant so much! 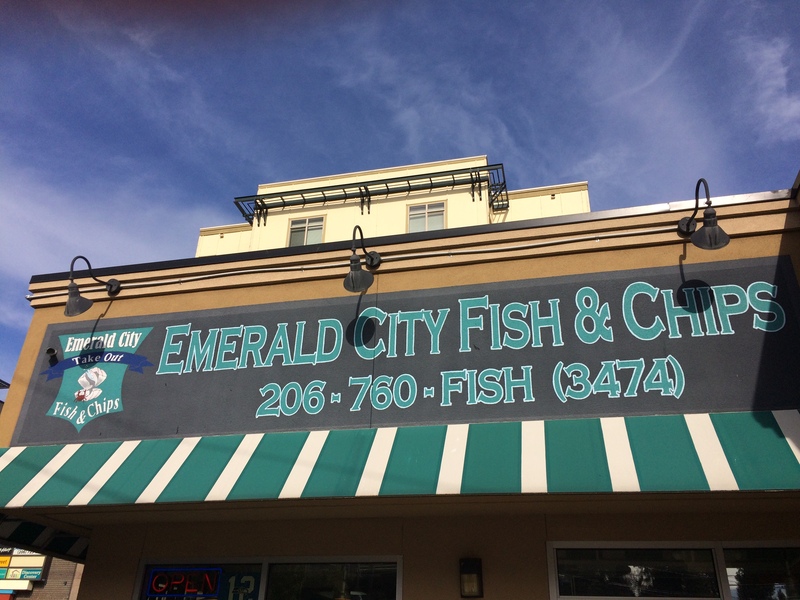 The fish and chips place that we went to was called Emerald City Fish and Chips. It may not be the biggest place to eat but it packed a punch! It turns out that they only batter their items in a Bob’s Red Mill gluten-free batter so the only things that aren’t gluten-free are their sandwiches. It was awesome getting a great meal and knowing it was totally safe! We then headed downtown-ish Seattle. We parked close to Ghostfish Brewing but Scott wanted to take us to Letterpress Distilling. 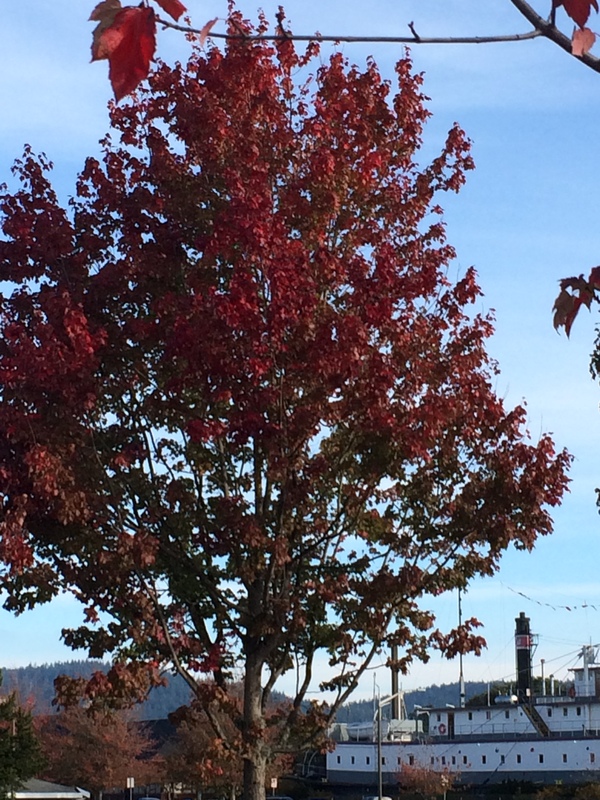 It was a gorgeous, sunny fall day so we walked there. 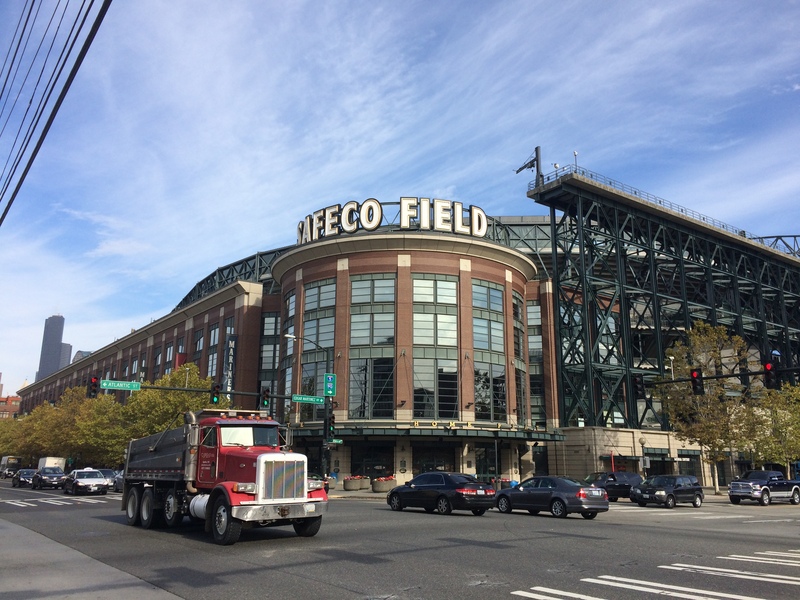 Letterpress is right around the corner from SafeCo Field, home of the Mariners and they currently make vodka and Limoncello. Their vodka is super smooth with a hint of vanilla at the end, very enjoyable. The Limoncello was smooth as well and lemon-y but not overpowering. More like a lemon drop without too much sweetness. We also got a tour of the facility which was really cool! Ghostfish was a place I was DYING to go to. 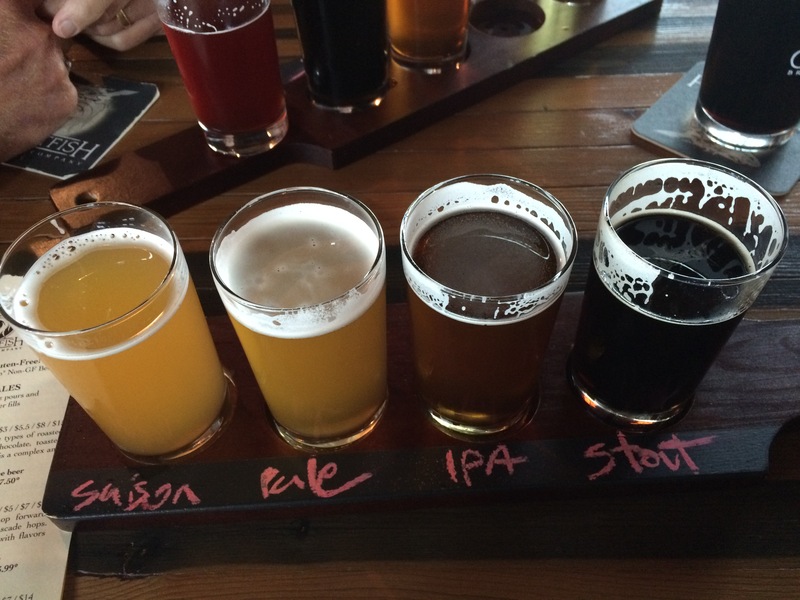 They brew only gluten-free beers and it was awesome to get to go to a brewery and drink a beer! Since I’d never been there, I had a flight and my brother and dad shared a flight with other flavors. I’d never had a saison before and fell in love with the light flavor with a hint of flowers. Just a beautiful blend! The other flavor, much to my surprise, that I loved, was the stout. I’d never been too much of a stout fan, it’s usually got too much of a coffee flavor for me, but this one is less coffee and more chocolate. Wow! Talk about a beer you can sip and savor! Needless to say, we took some beer home with us. 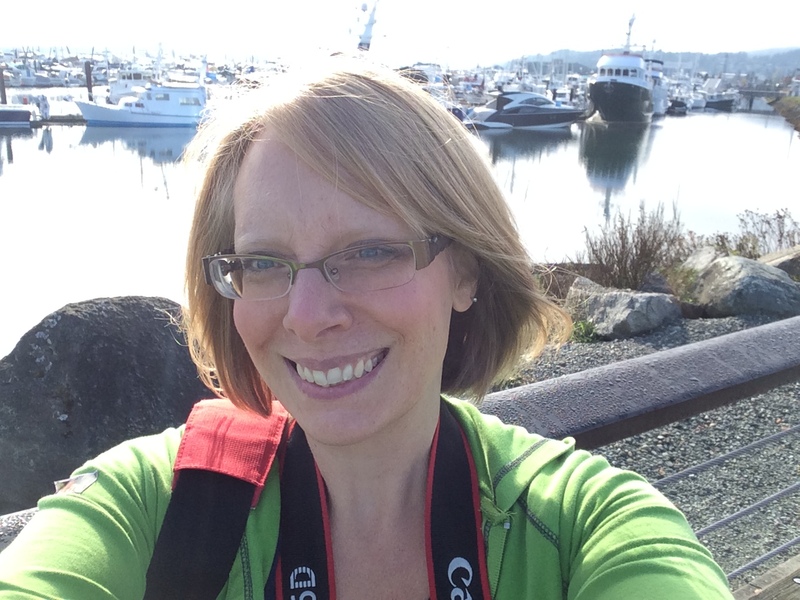 A couple of days later we ventured to Anacortes. If you have never been there, go visit. 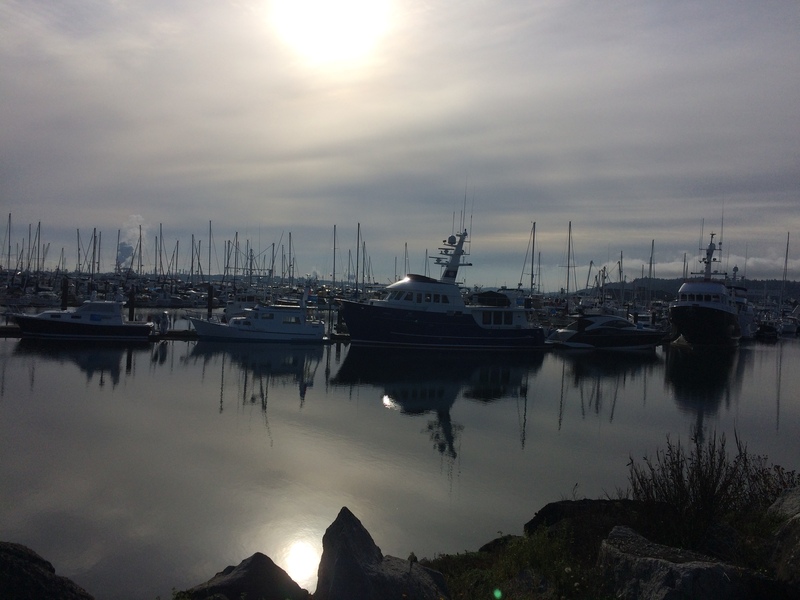 It’s a beautiful sea town with a marina and fresh sea air. We ate breakfast at the Calico Cupboard. 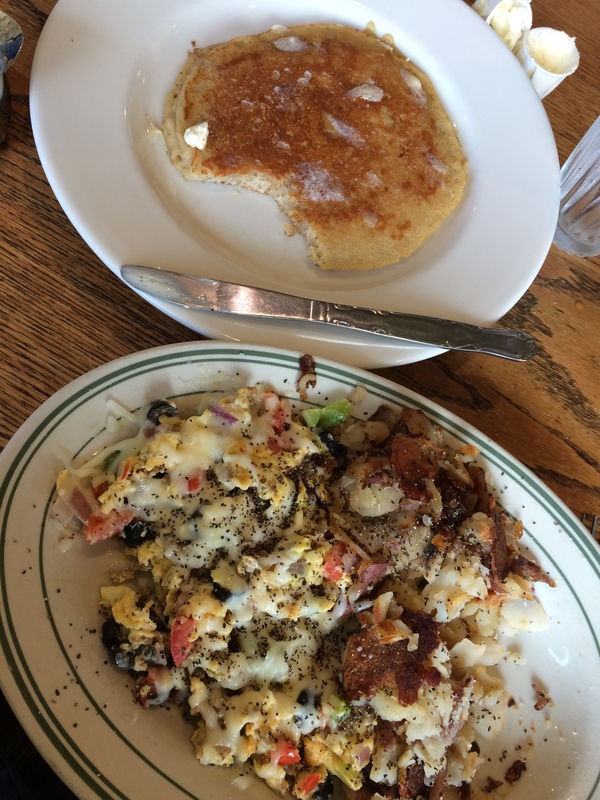 They have many gluten-free items including thick, fluffy pancakes for breakfast and carrot cake (my favorite!) and cookies to take home. I didn’t get a picture of the carrot cake the next day but it made for a great breakfast! 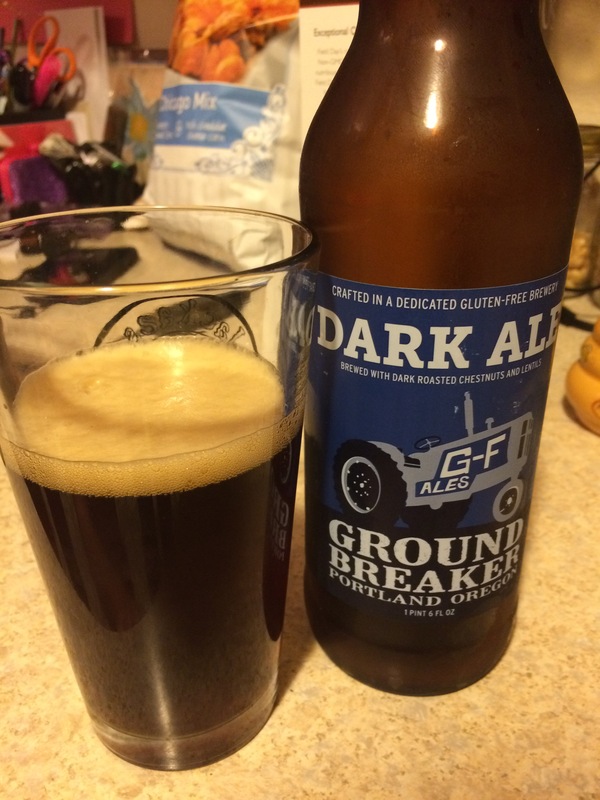 On the way home, we stopped at a store and picked up a bottle of Ground Breaker Dark Ale. This was also a great beer with a full flavor. Not as deep as a stout, obviously, but had a great finish to it. That Saturday was our “Tour day”. Scott took mom, dad and I out to see a couple more of his clients. 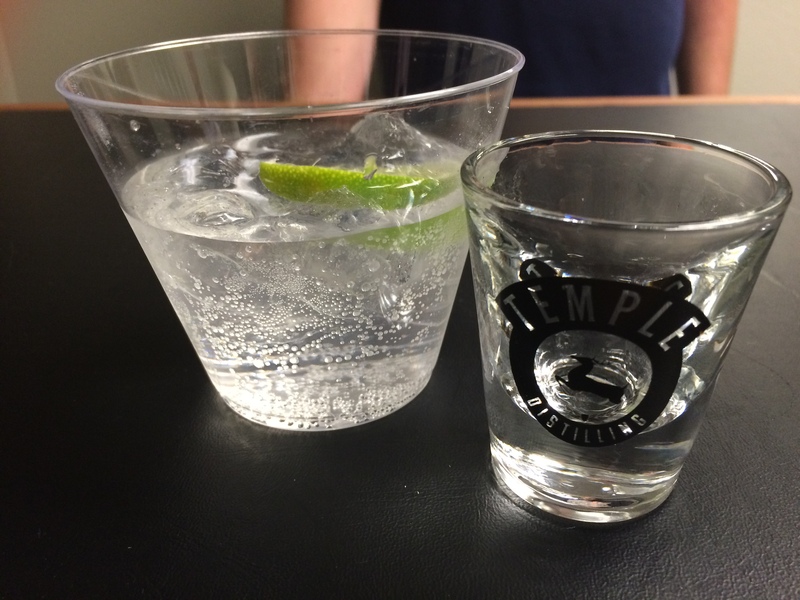 Our first stop was Temple Distilling. Temple, for the time being, makes gin. Disclaimer: I’m not a gin drinker. I always think that someone put Lysol in my drink. 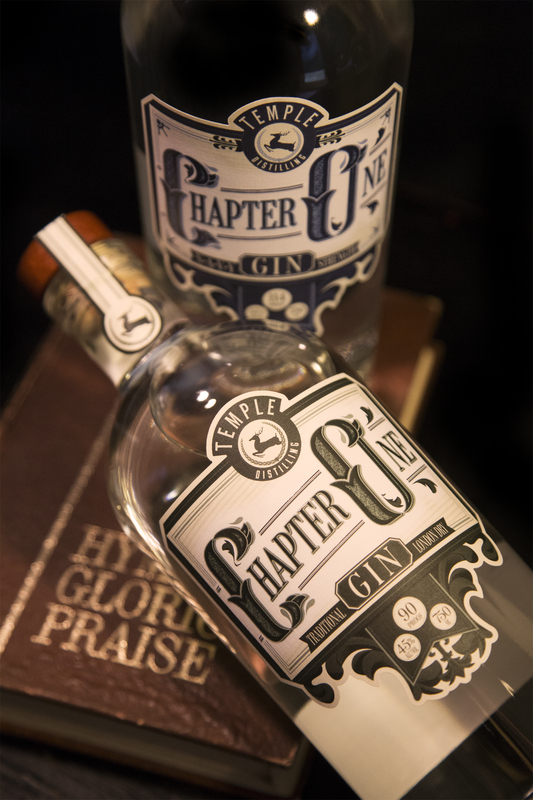 Not Temple’s London Dry gin. Super smooth, no bite, it might make me a gin drinker. Put it into a gin and tonic and…wow. So good. You have to try it to believe it, really. They also just released a Navy Gin which is a bit more potent. (I’m also a photographer and the next day Scott and I did some publicity photos for Temple, they turned out so good! Sorry, a little self promotion). After Temple we headed to Elemental Hard Cider. 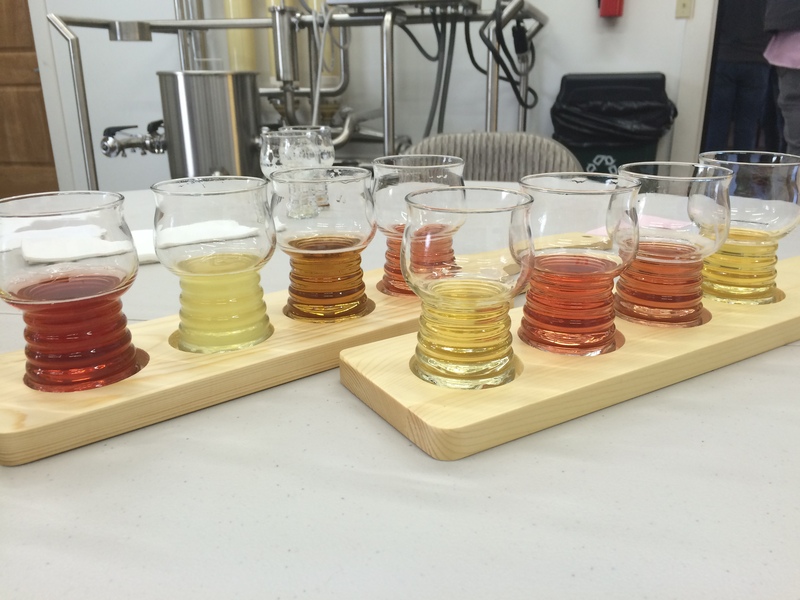 Elemental does all gluten-free hard ciders and MANY flavors. They also have lunch which is all gluten-free sandwiches. 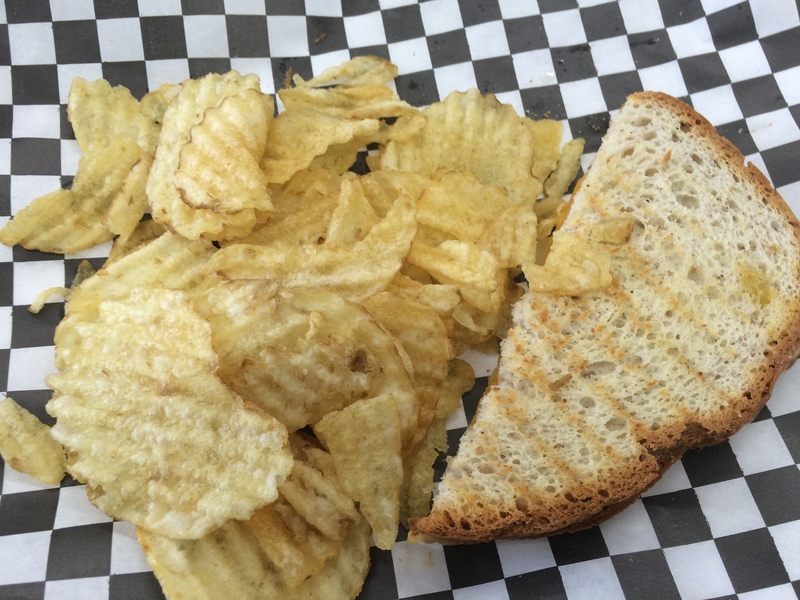 Whoa…lunch and cider and it’s all gluten-free? I’m in heaven! I decided to go with the classic grilled cheese and it was amazing. 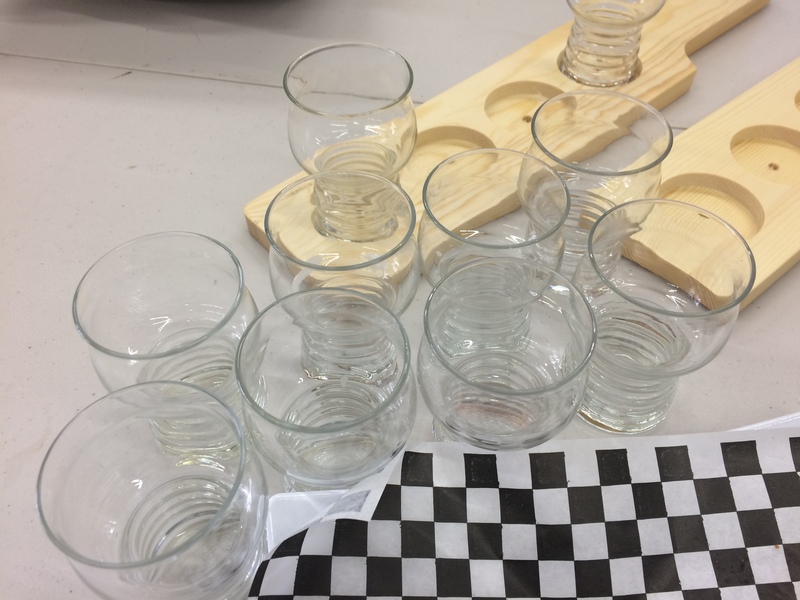 But the ciders…oh, the ciders! From a classic dry apple to cherry to spiced apple to spiced pumpkin to acai…these are just a few flavors. And they just introduced a root beer, not for the kiddos to try! All of them are so good but the acai was bottled and I took one home with me. The root beer was to be bottled a few days after I left so I may have some mailed to me. It really was hard to pick a fav but I loved the spiced apple or the spiced pumpkin. Two distinct flavors and perfect for fall! It was an amazing trip and I had a great time visiting family too, it wasn’t all about the beverages. My family is super important to me and I got to surprise my 4 1/2-year-old niece and my 2-year-old nephew. Spending time chasing them around was so precious to me. Seeing my brother and sister-in-law and having time to hear about their future was amazing as well. 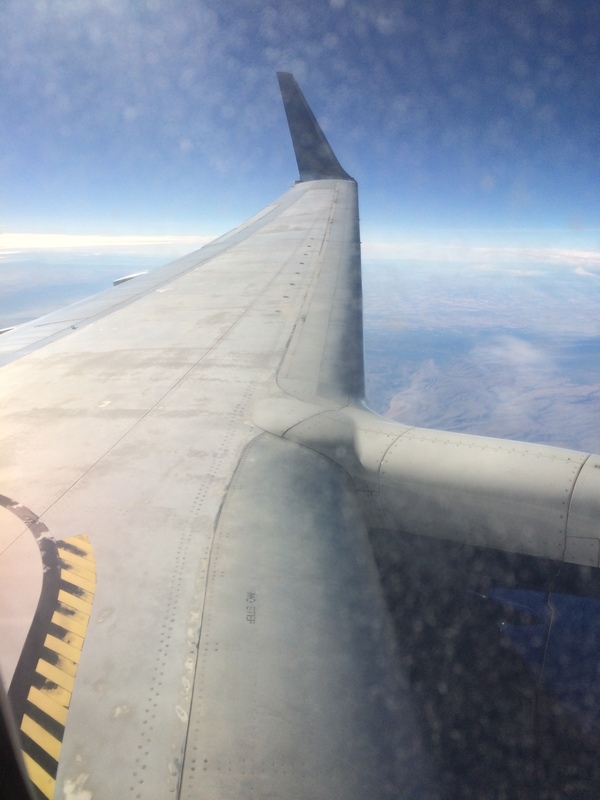 It’s so hard being so far away…but the memories of this time helps get through to the next time. Don’t forget to check me out on Facebook, Twitter, and now Instagram! !